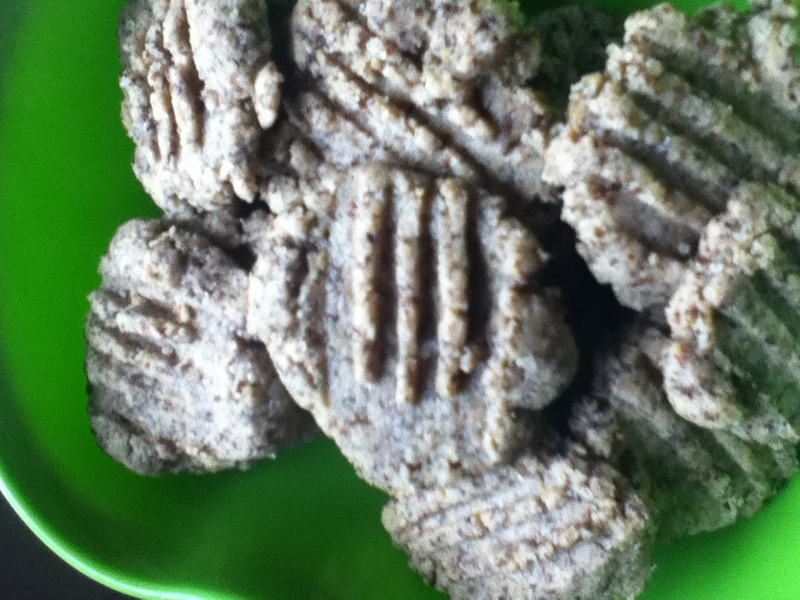 I’ve been experimenting with buckwheat flour, thanks to the 5-lb. bag I scored from Open Oak Farm (my winter C.S.A. source) at a fill-your-pantry event last fall. I’ve made several variations of buckwheat crepes (or galettes)–all good, except for this version where I subbed a leftover blueberry stout for the I.P.A. the recipe calls for. Keep it simple. I made thick, pillowy buckwheat pancakes from Simply in Season cookbook, by Corvallis locavore Cathleen Hockman-Wert. Then, flipping through the massive new Essential New York Times tome, I stumbled upon a recipe for “buckwheat cookies.” These crumbly morsels truly are the revelation Melissa Clark describes. Or as Amanda Hesser puts it in her head note about the cookies, “If it’s engaging flavor and not too much sugar, you have found the holy grail. These cookies, which are great with tea, taste like sweet wet stone–in a good way, I promise.” Spot on. Delightfully pebbly, I would add. Who knew wet pebbles could taste so right. The buckwheat flour (actually not wheat at all, but a relative of sorrel and rhubarb!) provides a tangy, mineral quality. I added a pinch of ground cardamom to the recipe, which married well with buckwheat’s flavor. In fact, the crumbly texture of these buttery cookies very much reminded me of the magical Honey-and-Cardamom Cookies I discovered years ago, reviewing The Spice Bible for The Sun. The texture also reminded me of my late grandmother McCandlish’s beloved spicy cheese straws (with their added Rice Krispie crunch). Lots of butter must be the common denominator there. Next in my buckwheat adventures, I’ll have to try Italian buckwheat polenta and the pasta they call pizzoccheri. I’ve still never made good ole’ Kasha Varnishkes with buckwheat groats and farfale, but my husband says he can’t stand the smell. Buckwheat can have an aroma off-putting to some. But not to this soba-loving gal!